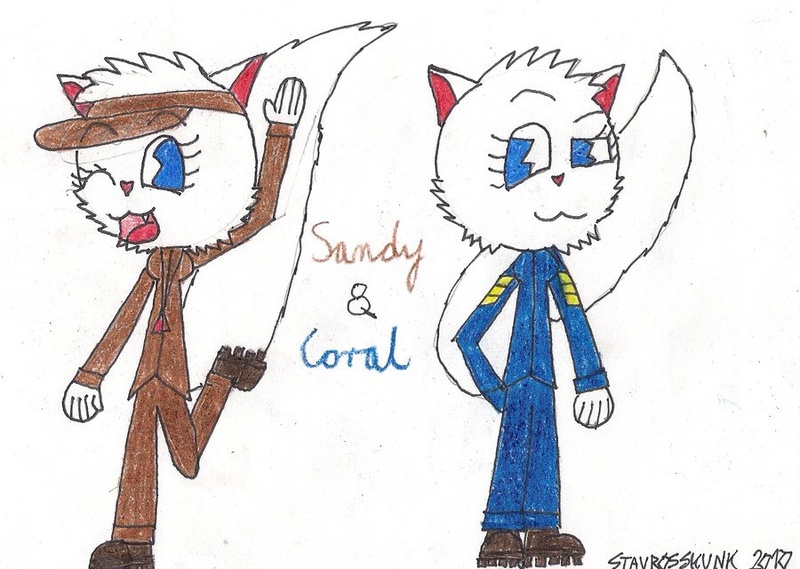 This is a picture of Sandy and Coral. They were Furious-Cat's(aka Róża's) ones of the first HTF characters she created. They are crazy, however Sandy is completely childish. I remember Furious-Cat's HTF comics on the old, but dead HTF forum, especially the one with Sandy and Coral named "Where the heck are you?". To Furious-Cat(aka Róża): You were a great artist. I always enjoyed your drawings and comics. You were a great example of an awesome Polish user. Your HTF fan characters were really awesome, cool and beautiful. It's a pity, that you closed your DA account. I will miss you very much.